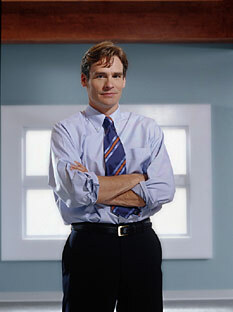 Robert Sean Leonard as Dr. James Wilson. Tuesdays (9:00-10:00 PM ET/PT) on FOX. Has a roving eye for the ladies (there is mention of a nurse and Debby in accounting, etc.). Wilson: "I forgot, I need a reason to give a crap." House: "You're giving two craps." According to a post on Television Without Pity's House Forum, Wilson drives a Volvo S80. Cameron: "Is that how you justified lying to your wives?" Doctor James Wilson: A closer look at the charming Dr Wilson; cook, "boy wonder oncologist" and serial womaniser...?